Let’s find a home that’s perfect for you! No matter how many times you’ve done it, whether you’re a first-timer or a seasoned home-buying pro, purchasing a home is always one of the most exciting and nerve-wracking experiences you will live through. Let’s be honest, there’s nothing quite like buying a home; it’s easily the biggest purchase you will make. 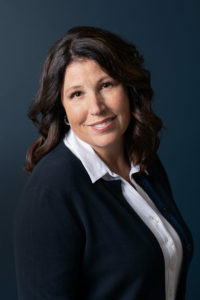 Rest assured that my years of local knowledge in the Comox Valley and real estate expertise will guide you through the process calmly and professionally. I want to ensure you have the best home buying experience possible. Don’t worry, it will still be very exciting! I will work hard to negotiate the fairest price for your Comox Valley real estate purchase. My business is built on honesty and integrity, and I deliver this in a low-pressure environment that matches your home purchase as accurately as possible to your wish list. My reputation and years of successful real estate transactions are fulfilled by listening to my clients needs and providing excellent customer service. If you want to be the first to see new homes before they show up on the Multiple Service Listings on Realtor.ca, then sign up now to receive access to our Private Client Services (PCS) listings. The PCS gives you, the buyer, important information so you can make informed decisions on your home purchase. This includes price changes and history, days on the market, property taxes and much more. We will ask you some simple questions to narrow your search criteria, then get to work finding your dream home. It’s time to sign-up for PCS right now! How much money is realistic for you to spend on your real estate purchase? I work with mortgage specialists that can sit down with you and help determine the price range you are comfortable with. The Comox Valley has excellent lawyers and notaries that I work with regularly. They will help you cross the t’s and dot the i’s to eliminate any surprises that you simply don’t need to worry about in a transaction as significant as this. 3. Making an Offer is a Process and My Job is to Help you Through it! If you’re ready to make an offer, I will guide you through the offer sheet and help you make the best offer possible based on current market conditions. As this is a negotiation, offers aren’t always accepted so my aim through the process is to get your house at a price that works for you, the buyer. There is a big difference between what you need in your home vs what you may want. Always go into each real estate transaction with a realistic frame of mind to avoid let downs. Remember, I’m there to help keep you on track and nail down your needs. I will work as hard as I can to include some wants as well! When buying a home, you don’t pay real estate fees, that’s the good news. What you also need to know is the list of potential fees that come with buying a home. These include building inspections, legal fees, property tax, home insurance, property transfer tax and possibly much more. These additional expenses can add quickly! I am here to help you figure out the potential additional costs involved in buying your new home. In addition to that, I am an excellent resource and can point you in the right direction for the Comox Valley’s best mortgage brokers, home inspectors, water and septic testers, and more! CONTACT TINA FOR MORE INFO! Sign up for Private Client Service and see listings before they’re posted on Realtor.ca! You’re buying and this list of homes are selling, it’s a match made in heaven! I work hard to find you the best home possible, at the right price. If you’re in the market to buy a home, lets chat!